From Newcastle to Sydney and everywhere in-between! 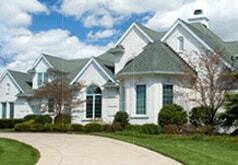 We take pride in doing what we’re best at: cleaning and protecting all of your home’s interior and exterior surfaces. 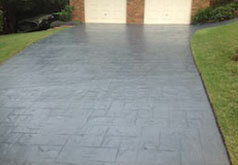 Sealers protect against stains, spills and the effects of weather. 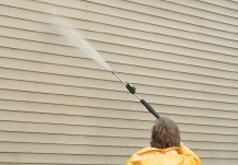 Improve the curb appeal of your property by removing dirt, grime, mould and unsightly stains. 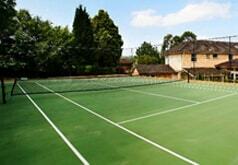 Improve the appearance and condition of your court. We can restore the most neglected of courts. 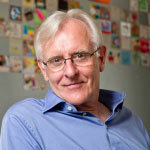 We provide a cost-effective service, to help you achieve top market value for your home. 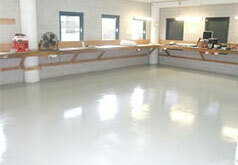 Sealers protect against oil stains, common spills and the effects of weather. 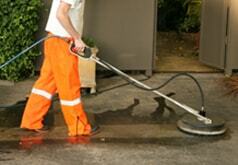 We can clean and remove oil stains, tyre rubber, chewing gum and dirt from general foot traffic. 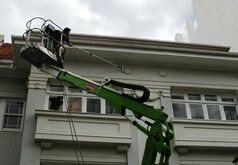 We can maintain your property to the highest of standards for a fraction of the cost. Having been with the surface cleaning and sealing industry for many years now has incredibly helped us understand and know more about surfaces and everything about them. At Quickly Please Cleaning, we have taken the business down to a science. Since our humble beginnings in 1999, we have earned a reputation for delivering top-notch surface cleaning and treatment services across Australia. Because we have the business built on ethical service standards, we remain unyielding in achieving consistent results for our clientele base. We are backed by the full support of Nanokote, Dry-Treat, and an excellent selection of high-grade sealants so we are able to pass genuine warranties from the product manufacturers themselves with every service order successfully completed. We are all about our customers. We make time to identify their needs and ensure that we have solutions catered specifically to answer every requirement. 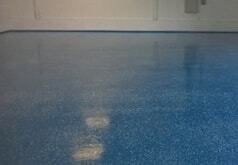 This approach has also given us a significant percentage of surface treatment orders from customer referrals. We understand how valuable time is for our clients so we make it a point to show up on time for every job order. 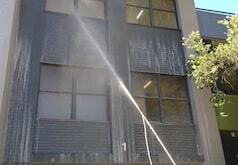 We ensure that clients are fully aware of the progress on our cleaning, treatment, or sealing work. Every service is accomplished fast and results are always outstanding. 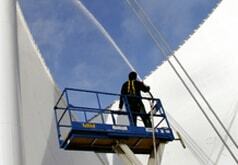 We have earned recognition for our expertise in the field of surface cleaning and sealing. With state-of-the-art equipment and processes we use and the nanotechnology-based products that we provide our clients, our reputation as a reliable service provider remains unparalleled. Take a look at some of our recent cleaning, sealing and surface protection before and after results! When your natural stone has lost its luster or has become damaged in some other way, or needs to be protected, who do you look to? Do you look to your cleaning or janitorial company? Take Pride In Your Home – We Will! We understand how your home could be your biggest investment and how every homeowner takes pride in how beautiful and clean their homes are. From every bedroom in the house to the kitchen and the bathrooms, from your tile flooring, your pavement, to your kitchen table top, these surfaces make up a large part of your home. And while many homeowners have taken it for granted, the quality of your home surfaces and how well maintained they are adds value to your investment. So if you’re up for getting the most out of your biggest investment, protecting your home’s surfaces from the wear and tear of everyday use should be on top of your priorities. 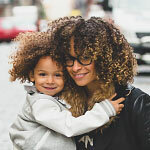 At Quickly Please Cleaning, we live by ensuring your priorities are promptly met. We map out a doable timeline of tasks that’s all about protecting your surfaces. From a free consultation with you to review your surfaces to outlining the best solutions that cater to your needs, we make sure to come up with a plan specific to your surfaces, your needs, and your preferences—all to protect and extend the life of your home’s interior and exterior surfaces . Our cleaning and protective coating solutions reduce cleaning by up to 90%. You don’t have to worry about using harmful chemical cleaners ever again! Our manufacturer’s warranty should tell you how confident we are with the excellent-quality services we provide to ensure your home’s surfaces are well maintained and protected. Our extensive list of services that protect and extend the life of your surfaces helps reduce your cleaning effort and time, letting you spend more time doing things you enjoy most! Founded in 2009, servicing the Sydney and Newcastle metro areas, We aim to provide fast, friendly and cost-effective services to all of our clients each and every day.